Water Pressure is the force of the water flowing through the line. In all water lines, this force is essential to ensure the water reaches its destination. Flow rate literally means the speed of the water flowing through the line. It is a volumetric measurement, usually expressed in litres per hour. It is an absolutely crucial number because each type of dosing machine can only dose a finite amount of an additive per hour. Water Consumption is the amount of water used by the herd/flock (or a smaller group) in a given day. It is a volumetric measurement, best expressed in litres per day. It is often a very useful number in livestock dosing applications because it can be used to provide a rough FLOW RATE. 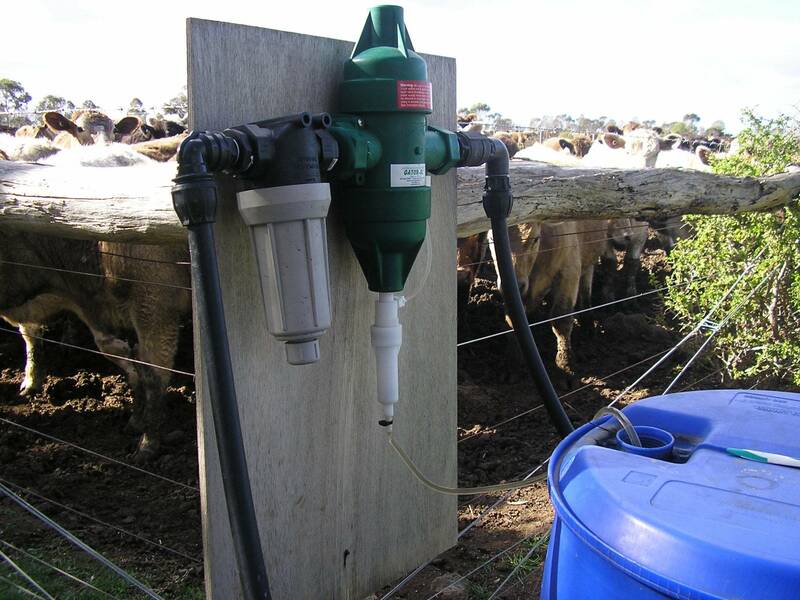 Can you use an automated dosing system on your farm? In Australia, some people still believe that water dosing systems (such as the Dostatron, Gator, Select Doser, etc.) can only be used on large, intensive operations such as pig and poultry farms, where livestock are kept in fairly close quarters. Continue reading Can you use an automated dosing system on your farm? One of the features of the Gator XL water powered doser that farmers like is that it is a simple, set-rate pump.